Landlords are not keeping pace with the desire of tenants to go smoke-free, a new report released by the UCLA Center for Health Policy Research shows. In that survey of Los Angeles, only 20% of rental housing is smoke-free, where 82% of renters indicated a preference for no-smoking. Among those tenants who smoke, 85% supported a smoking ban. Those landlords who already have smoke-free policies in place were unanimous in reporting that a smoking ban did not have a negative impact on vacancy rates. Secondhand smoke is a known health risk, and landlords who do nothing to stop this environmental hazard have been found negligent to tenants who have become ill. Despite that risk, 370 of the 1,000 tenants surveyed door-to-door have experienced secondhand smoke drifting into their homes from another apartment or common area. These statistics beg the question: Why aren’t more landlords going smoke-free? According to the study, most landlords either have never thought about, or weren’t aware that they could implement a smoking policy. 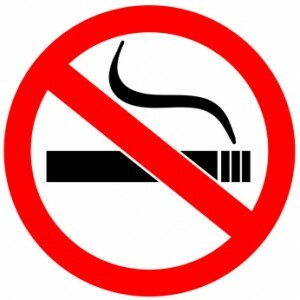 Many landlords assumed that the local government is responsible for implementing a smoking ban. Fortunately, that is not the case. Landlords across the country are free to adopt smoke-free policies in their rental properties, and those who have report lower costs and higher tenant retention. Joe Patel, president of the Apartment Association of Greater Los Angeles says that it can cost landlords up to $15,000 to renovate a smoker’s unit. That’s not to mention the payout if a tenant gets sick and sues. Unfortunately, “this reality has yet to translate into smoke-free policies due to a lack of awareness,” Patel adds. As a result of this disparity between what tenants want and what landlord provide, UCLA has partnered with the Apartment Association of Greater Los Angeles, along with local nonprofits and the American Lung Association to promote smoke-free housing in the Los Angeles area. The campaign, Smokefree Apartments Los Angeles, will educate tenants about smoking hazards, and offer assistance to landlords and property managers who want to learn more about smoke-free housing. For more info, visit www.smokefreeaptsla.org.